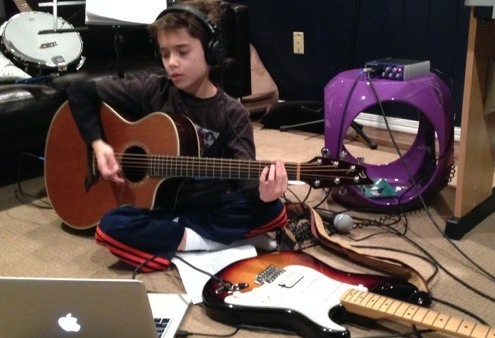 Sam Hurwitz is an 11 year old singer–songwriter who plays guitar and piano, and has been singing, strumming and writing songs since the age of two. When Sam was a baby, he seemed to always gravitate towards the toy musical instruments that were in his playroom. Sam started strumming the guitar and singing and while it would seem that he was singing random words, his parents began to notice that he would strum and sing the same words in the same tune. Thus his first songs (albeit one line songs), “Give me a Garbon” and “Bop a Doo”, were born! His mother shared that there was always music playing in their home so it’s clear that Sam was influenced by the type of music that their family listened to. 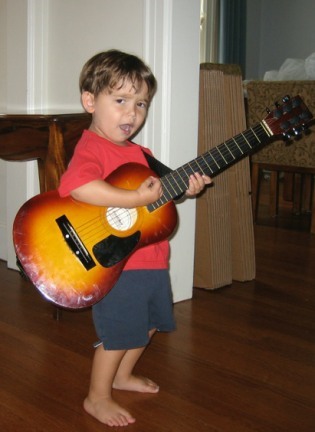 As early as 2 1/2 years old, Sam could be found strumming and singing along with his favorite band “Wilco”. In addition to listening to Wilco, Sam’s early music exposure included the alt country bands “Son Volt” and “Uncle Tupelo”, as well as the “Avett Brothers”. At age 6, Sam began taking guitar lessons with Marc Jacoby, a preschool music teacher and member of the bands “Grateful Bro” and “Rockmitzvah”. Sam’s earliest songs were written before he could actually play guitar and Sam would sing the tune and Marc would take that tune and lay the chords out for Sam. 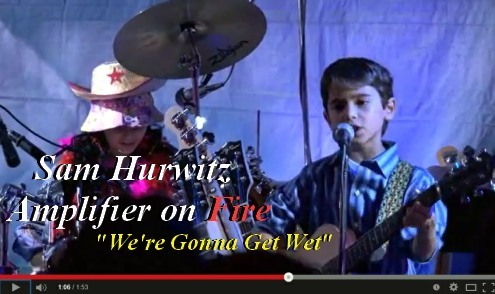 Sam’s first “real” song, “We’re Gonna Get Wet”, was written that year. His current version of “We’re Gonna Get Wet” is currently listed at number 2 and his song “Maybe Rome” (which you can see below) is listed at number 8 on the independent UK music chart, FabChart. Watch Sam sing his original live! Unfortunately, Marc had a death in the family and could not continue teaching Sam. He recommended Cliff Mays, a local guitar teacher and bandmate of Marc’s to take over while Marc was taking some time off. Sam continued learning guitar with Cliff and writing new songs. Cliff has been a tremendous influence on Sam musically – whether it’s learning guitar, being exposed to new music and the history behind the bands, jamming, writing songs and learning a bit about recording software and the loop pedal. When Sam was 8, he had his first public performance when Cliff invited Sam to participate in a songwriters circle that Cliff hosted monthly. 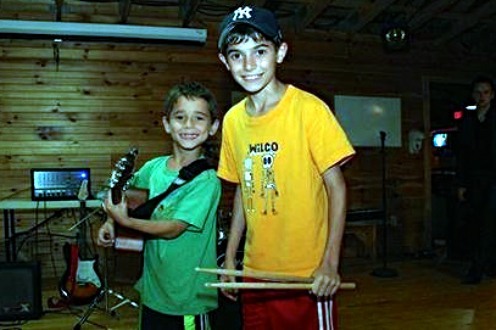 In the summer of 2012, Sam and his older brother Harrison, who plays the drums and banjo, were a huge hit when they performed their original song Red Sky at a camp talent show. That fall, they formed their band Amplifier on Fire and attended various open mics. 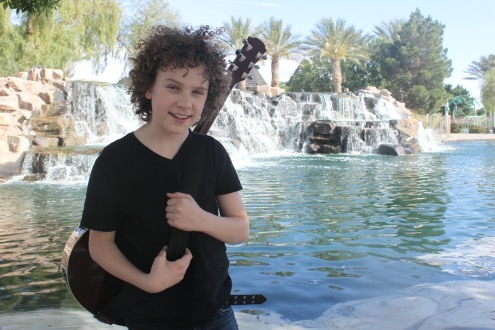 Sam continued to also perform as a solo act and at 9 years old was the youngest finalist at a talent search for young musicians. That same year, after an open mic performance at 12 Grapes, a restaurant in Peekskill, NY, Sam was invited back to perform in a singer-songwriter showcase to celebrate the venue’s 5th anniversary. When Sam was 10, he began studying piano at the Lagond Music School which was founded by Rosanne Lana and Charlie Lagond, who has performed around the world with artists like Chuck Mangione, The Jackson Five, the Temptations, and Kid Creole & the Coconuts. Sam’s parents explained that they were drawn to Lagond because of its unique approach of teaching contemporary music with the same rigor typically applied to classical training. Sam hit it off immediately with his piano teacher Rusty Cloud, who has toured with, among others, the E Street Band and the Blues Brothers Band. 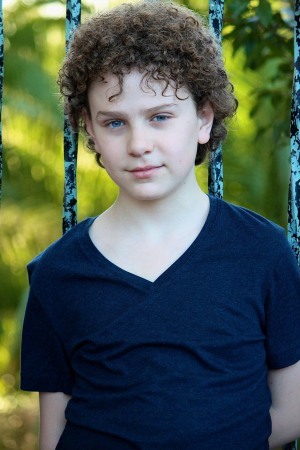 Quickly after seeing Lagond’s approach, Sam was enrolled there to study guitar with Nicky Barbato, and has recently begun voice training with Claire Cloud. In addition to musical instruction, Sam participates in Lagond’s Band Prep Jam, a program for younger students to learn to work together as a group. Lagond has been wonderful for Sam, not only improving his technique but exposing him to new genres of music and learning to play with others as part of an ensemble. Sam is described as being quiet, shy and reserved and not one to seek out or even like the limelight. 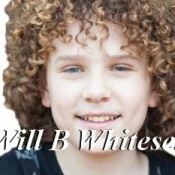 However, his mother shared that Sam seems to be more comfortable on stage recently than he has ever been. He is also described as being mature beyond his years, incredibly thoughtful, empathetic, modest and kind. In fact one of his teachers said that he is “the kindest student I have ever had” and he has been called an “old soul” by many people. Even Sam’s musical taste is mature – he is not interested in the current pop and rap songs most of his peers listen to and instead prefers Wilco, the Avett Brothers, Uncle Tupelo, Modest Mouse and old classics such as The Beatles, The Eagles, Billy Joel and Pink Floyd. 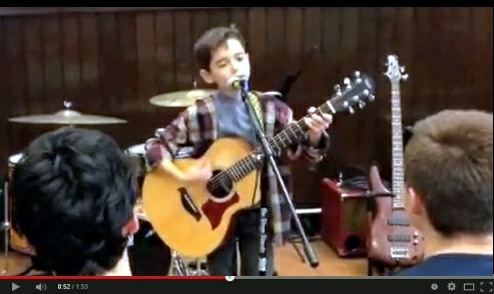 Sam has a catalog of 10 original songs, 8 on guitar and 2 on piano. At Sam’s first live performance he was asked how he writes his songs. He answered “they just pop into my head”, and that continues to be the case today. He will sit at the piano or pick up his guitar and just start playing and singing. Many times nothing will come from it, but sometimes a song is created. Sam has been compared to Bob Dylan, Richie Havens and Steven Stills. 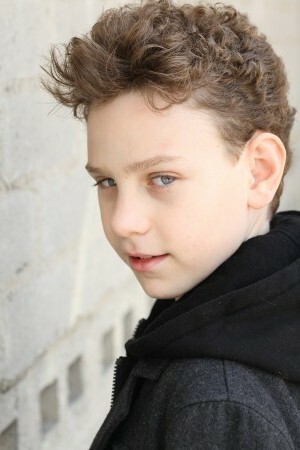 In addition to working on his music, Sam loves to spend time with his friends, play with Legos and the computer game Minecraft. Sam also loves to read and write. 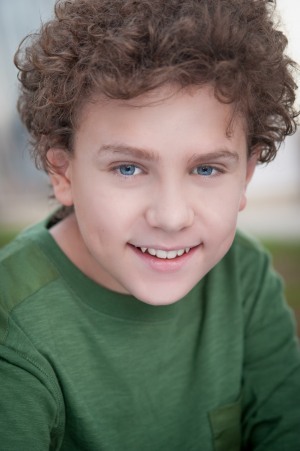 Sam attends a weekly creative writing class and wrote a screenplay at age 7 and has written several fantasy and science fiction short stories/novellas. 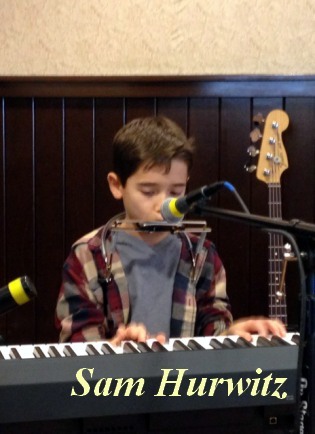 While this may be Sam’s introductory article here at Rivenmaster’s Place I’m sure it will not be the last we have heard from this young musical prodigy! 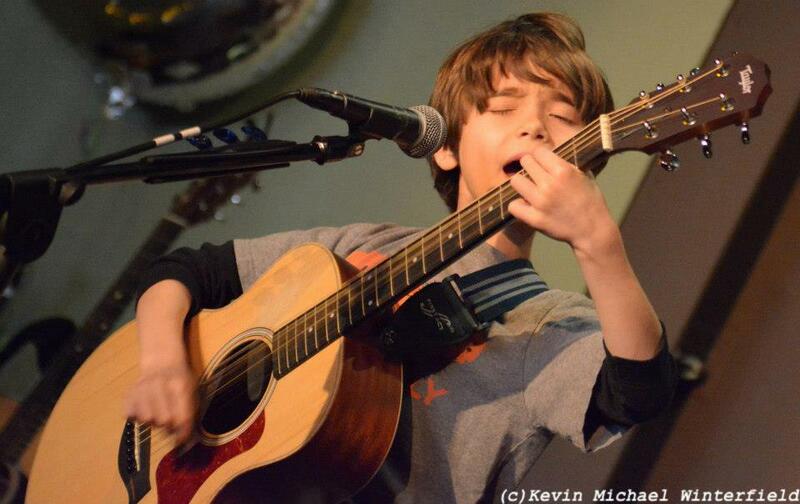 The key to success is writing, producing and performing your own originals songs. That key element alone makes this young artist ahead of the game. Be sure you subscribe to his YouTube Channel and follow him on Facebook. You’re going to want to get in on the ground floor of this young man’s legacy because he is without a doubt headed for stardom.